Measures are used to monitor and evaluate change in each priority area. Each measure includes a baseline and target. The baseline is the starting point for the priority being measured and uses data closest to the published date of the WI CCC Plan 2015-2020. The target is the goal in which the WI CCC Plan 2015-2020 strives to achieve over the next five years. To view specific measures and their data sources, click on the links below. 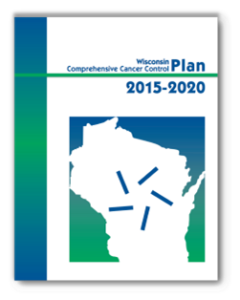 Want to view the WI CCC Plan 2015-2020 in PDF format?